Try roasting the garlic on the grill before you make this marinade to give it a great smoky flavor. 1. 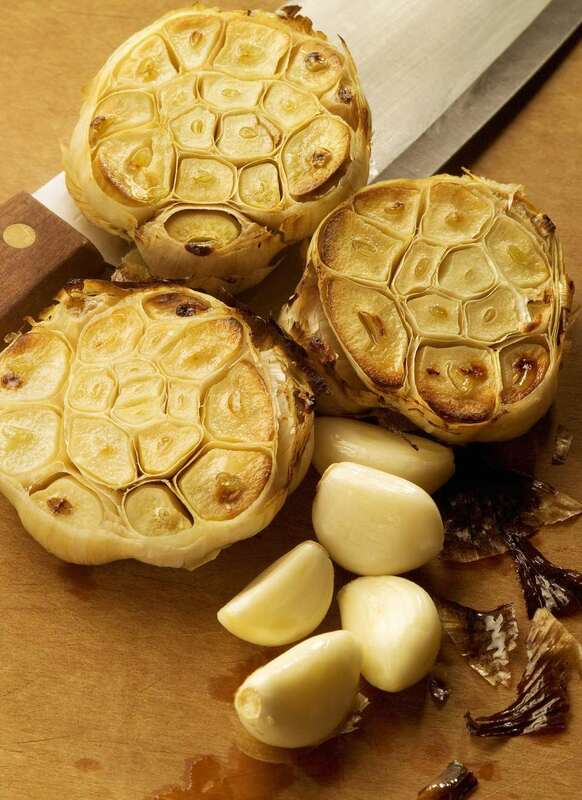 Carefully cut off the top of the garlic bulb so that the tops of the cloves are exposed. Pour one tablespoon of olive oil over the top. Place on preheated grill and roast over a low heat for about 30 to 45 minutes or until the cloves are soft and jelly like. Remove from grill and allow to cool. 2. Squeeze the cloves of garlic out of the bulb and into a blender. Add remaining ingredients and blend until smooth. The marinade works great with most anything, from chicken to pork, and even shellfish.